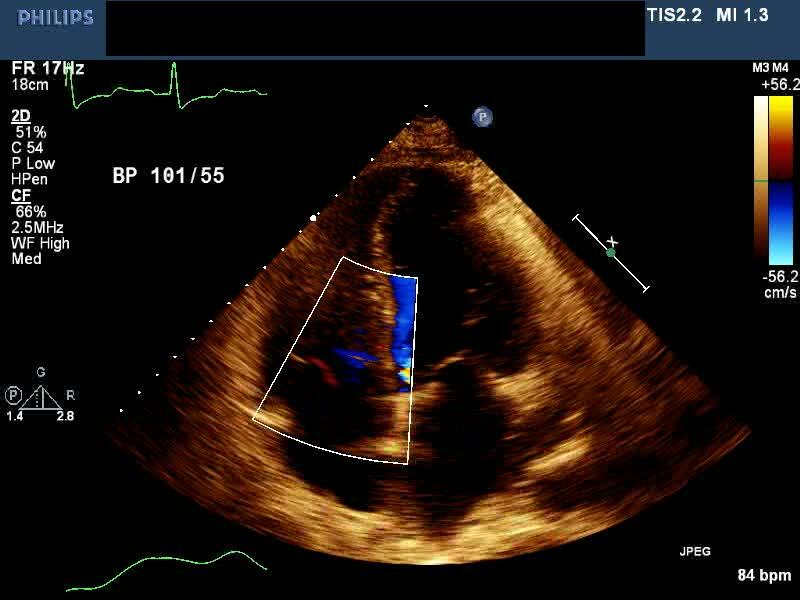 Video 1A: This four-chamber transthoracic echocardiography (TTE) view with color Doppler shows a color-Doppler jet traversing the basal interventricular septum (IVS) into the right ventricle, predominantly during systole. However, the origin of the jet resulting from an aortic-right ventricular fistula cannot be determined. A mild to moderate degree of tricuspid regurgitation is also noted.